A Midwest refinery was concerned with Corrosion Under Insulation (CUI) related to working platforms and attachments on pressure vessels and contacted Brindley Engineering to conduct inspection and engineering of these items. We found deteriorated fireproofing leading to structural degradation as well as numerous CUI associated issues with the integrity of platform and ladders attachments welded to the pressure vessel. Brindley Engineering’s structural team redesigned the platforms and the mechanical team provided further support through the development of mechanical procedures for the clip attachment replacement on ASME Section VIII pressure vessels. Procedures met the metallurgical and service requirements of the vessel, as well as compliance to the pressure vessel inspection, repair and alteration code, API 510. Brindley Engineering’s mechanical team worked with the Client’s engineering group with a value engineering approach to the repair and testing of the vessel on bringing it back into service. Corrosion under insulation is often attributed to improper installation of insulation jacketing or failed caulk at jacketing seams. Any opening allows moisture to infiltrate and saturate localized areas where the moisture is impeded from draining freely. 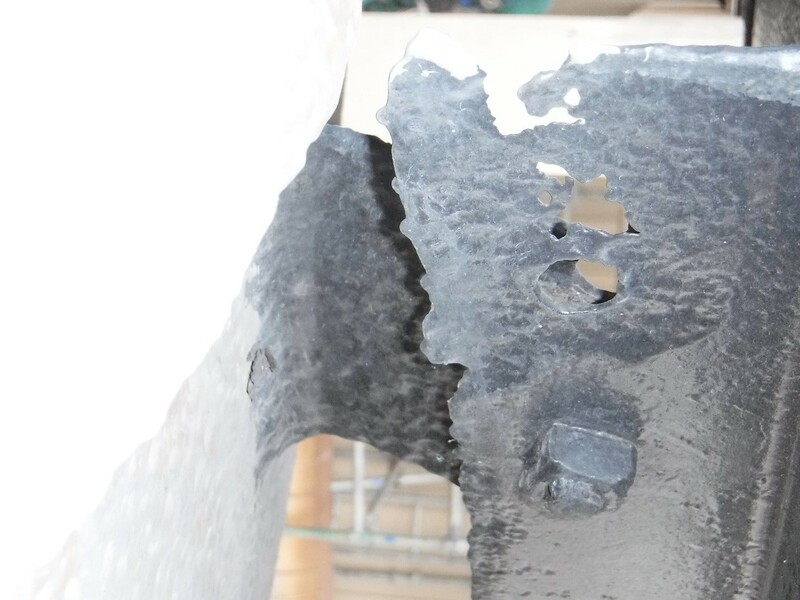 The exposure to oxygen and moisture, with the inability for evaporation is the beginning of related pitting, section loss and stress cracking. Inspection for corrosion is generally not completed regularly enough due to the insulation replacement and removal costs. Failure to inspect for CUI can have catastrophic results to safety and cost. A presentation to the European Federation of Corrosion in September of 2003 by ExxonMobil indicated that the highest incidence of leaks in the refining and chemical industries are due to CUI and not anticipated corrosion from processes. It was estimated that between 40 and 60 percent of maintenance costs are related to CUI. Corrosion Under Insulation (CUI) inspection and repair is an ongoing maintenance activity undertaken by all processing plants around the world. Brindley Engineering’s inspection and engineering capabilities address CUI related issues both structurally and mechanically.